The signing & awarding ceremony for “Shandong University Overseas Talents Workstation in Vancouver” was held at Shandong University central campus on October 17, 2018. The agreement was signed by Shirley Huang, CEO of the Canadian National Education Exchange Center (CNEEC), and Wu Zhen, Director of Human Recourses Department and the Talent Office of Shandong University. Han Shenghao, Vice President of Shandong University, awarded the workstation designation plaque to Shirley Huang. CNEEC has cooperated General Study Program (GSP) with Shandong University since 2001, which is widely recognized and highly rated by the public. The workstation signing is further evidence of Shandong University's affirmation and recognition of the cooperation with CNEEC over the years. With strength and confidence in making contributions to talent introduction and "Double First-Class" initiative for Shandong University, CNEEC will fully draw on its own advantages. Meanwhile, CNEEC will provide more employment opportunities at higher levels for the outstanding GSP graduates, relying on the platform of "Shandong University Overseas Talents Workstation in Vancouver." Shirley Huang, CEO of CNEEC (left); Han Shenghao, Vice President of Shandong University (right). 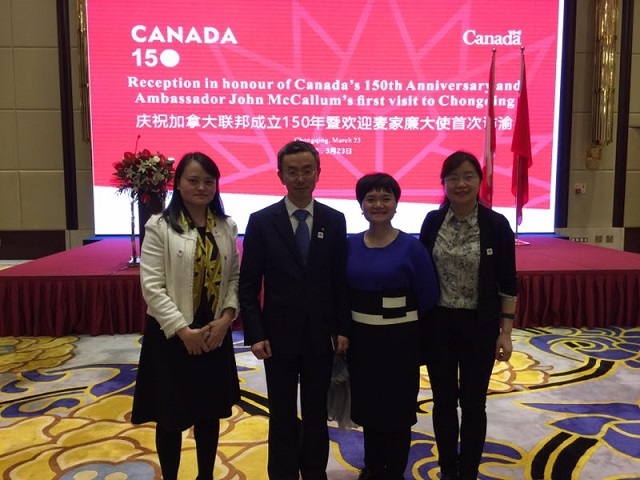 March 23, 2017, reception in honour of Canada’s 150th anniversary and Ambassador John MaCallum’s first visit to Chongqing was held on the night. The event was organized by the Consulate General of Canada in Chongqing. 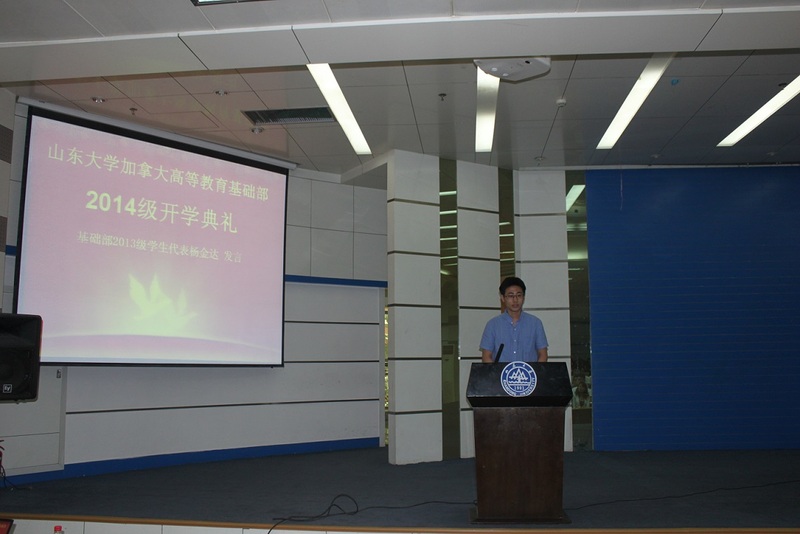 More than 150 guests from southwest region of China were invited to attend. More than 350 photos from the live event show the fruits of cooperation and exchange between Canada and the Southwest of China in the past 100 years. Lily Liu,CNEEC deputy representative of China, was invited to the event. The ambassador is a professor of economics, former Dean of the Faculty of Arts at McGill University, senior vice president and chief economist of Royal Bank of Canada. He also served as Minister of Immigration, Refugees and Citizenship in the cabinet of Prime Minister Justin Trudeau, as Minister of Defense, Minister of Veterans Affairs and Minister of Taxation in the Cabinet of Prime Minister Jean-Chretien and Prime Minister Paul Martin. This is the first time that a minister from the Cabinet was appointed as ambassador to China in the history of Canada. As ambassador, Mr. McCallum will now play a key role in expanding Canada’s trading relationship with China, including a possible free-trade agreement between the two countries. Chinese officials have spoken of “rare, historical opportunities between China and Canada” under Mr. Trudeau’s leadership. CNEEC will continue to carry on the obligations of education exchange and contribute to the progress of education industry between the two countries. CNEEC's basic research focuses on international education systems, policies and related affairs. Topics cover comparison of education systems, differences in syllabi, influences on education policies, reflections of people and cultural backgrounds, and the development of the education market. We also devote our time to developing, designing and initiating new prospective projects. November 15, 2016, Chengdu, Education Officer of Consulate-General of Canada in Chongqing, Dr. Zhong Liao officially visited to Southwest Jiaotong University (SWJTU). The meeting was arranged by CNEEC in order to enhance the education cooperation with SWJTU in 2017. 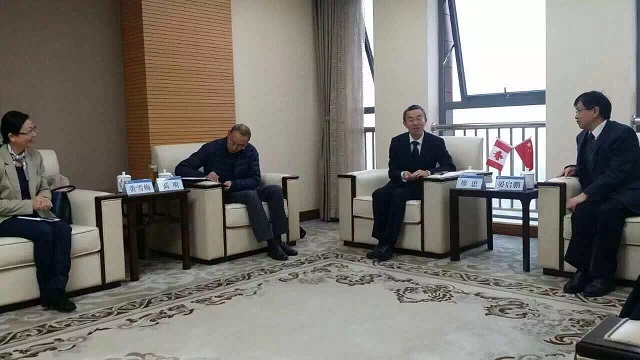 Chief Executive Officer of CNEEC, Shirley Huang, and Deputy Secretary of the Party Committee of Southwest Jiaotong University, Yan Qipeng attended the meeting. Dr. Zhong Liao has 18 years working experience in Consulate-General of Canada in Chongqing, has accumulated a wealth of experience in promoting cultural and educational exchange and cooperation. He expressed the appreciation and affirmation for the efforts of both parties put into the General study program and the visit. 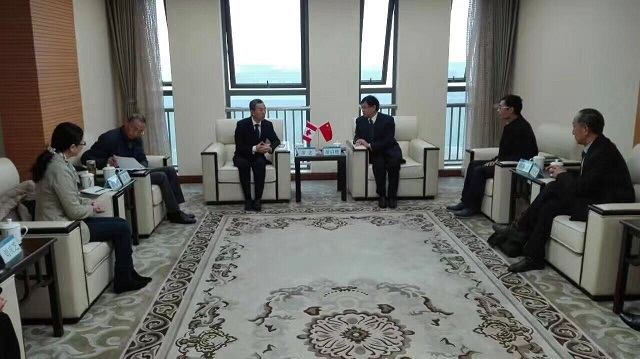 Meanwhile, Dr. Zhong Liao is looking forward to bringing more resources from Canadian Government and Canada Universities to build up a stronger cooperation with SWJTU. 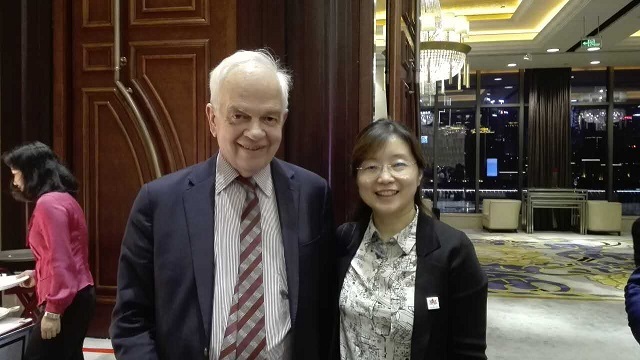 Yan Qipeng, Deputy Secretary of the Party Committee of Southwest Jiaotong University, said Southwest Jiaotong University will heighten the existing cooperation with Canadian universities, and focus on the exploration of more resources from Canadian universities in the field of scientific research and education cooperation. With the efforts of Canada Consulate-General in Chongqing, he believes the cooperation plan will embrace a great outcome in 2017. More and more of Canadian top universities are seeking ways to cooperate with the well-known universities in Southwest China. Southwest Jiaotong University should take the advantage of information and resources provided by Canada Ministry of higher education. Based on the foundation jointly with the Canadian universities, SWJTU will set up more joint research projects to expand the research capability. CNEEC will take the further responsibilities of educational projects importation and implementation to assure the success of SWJTU human resource strategy and international strategy.